During the cold winter months, we need a little bit of fun to get us through. 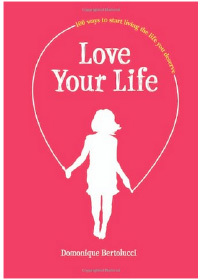 This February (and Valentine's Day), it is time to turn up the joy factor by thinking pink, eating chocolate and maybe even reading a book that helps you truly love your life. If there is something you want to change - weight, mood, relationships, job - try taking baby steps (or big steps) towards it. Whether it is stretching, journaling, meditation, taking a class or eating cleaner, you deserve to feel good... now. So pick a new exercise, new recipe or a product you would like to try. Dont forget to also treat yourself to some necessary me time, you deserve it. What do I eat in a day? 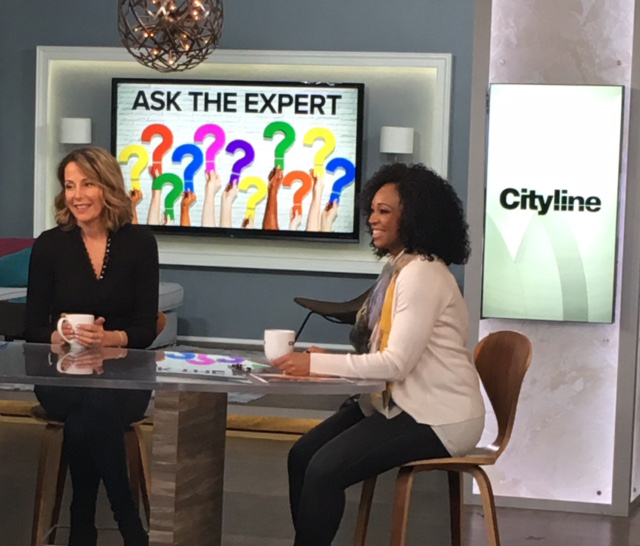 How are the Cityline winners doing? Check out my latest clip to find out by clicking here. Do you want to make a change in your health and finally lose the weight? If so - what are you waiting for? You deserve to feel good... right now! All you have to do is call 1 of our 3 locations below and book in for a FREE weight loss assessment. No gimmicks, no starvation, no pills - just real food, real results for life. 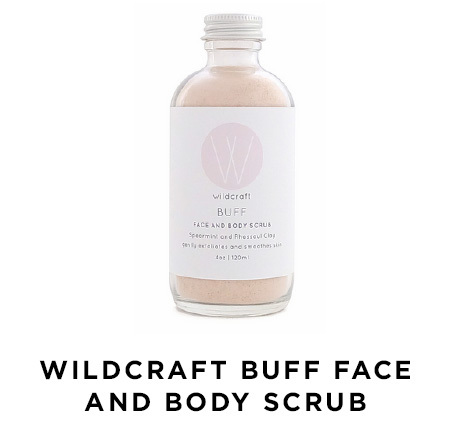 This natural, face and body scrub by Wildcraft is made with amazing ingredients, including spearmint and rhassoul clay that gently exfoliate and smooth your skin, leaving it feeling fresh and clean all day long. The essential oils leave a minty, refreshing scent, while the mineral rich formula exfoliates dull, dry skin. All Wildcraft products are made in Canada, using organic, natural ingredients. This pretty powder pink and ivory drawstring bag is a must have essential for anyone in your life that loves to keep organized. 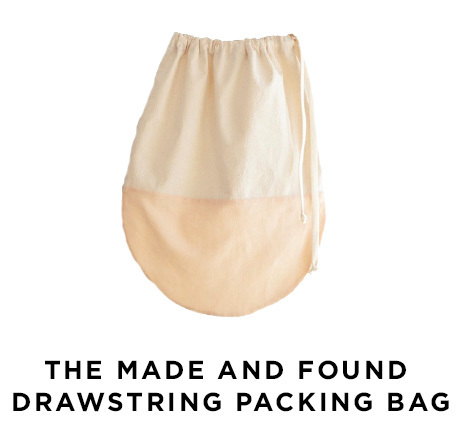 It is ideal for traveling or storing loose items that often cause clutter - underwear, socks, bathing suits or shoes. Made with 100% cotton material, handmade in Canada and easy to wash! The cotton drawstring makes it easy to hang in your closet or throw in a suitcase. 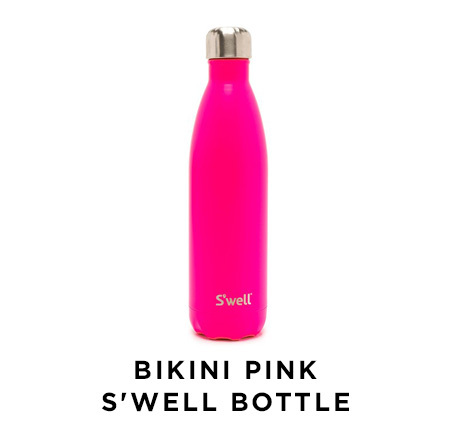 This fun and bright, bikini pink Swell bottle is the perfect accessory to help keep you hydrated in a fun and exciting way  and the bright color will remind you to drink your water! The double-walled stainless steel bottle keeps your water cold for 24 hours or tea hot for 12 hours. It is made with non-toxic, non-leaching and BPA free materials that you can feel good about using day-to-day. This 100% natural, non-toxic tint formula gives that perfect pop of color to lips and cheeks during Canada's chilly winter months. The nourishing formula is made with 18 high-performance ingredients, including Spanish lavender, coconut fruit extract, and jojoba oil, which work to moisturize, soothe and hydrate skin. All Tata Harper products are cruelty-free and made without parabens sulfates, phthalates, GMOs and synthetic fragrances. 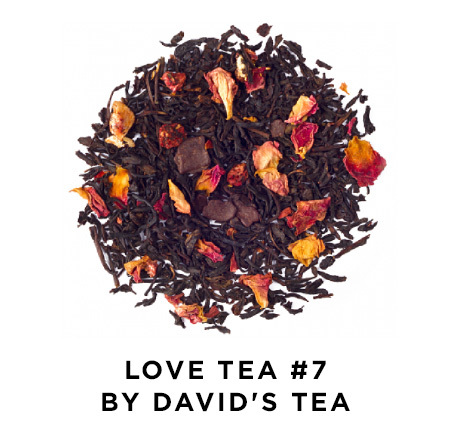 The romantic blend of black tea, chocolate, strawberries and rose petals is the perfect tea to brew this Valentine's Day! The blend can be made into a hot cup of tea or a tasty almond milk latte. The hint of chocolate will leave you satisfied and warm, making it a great gift for the loved one in your life. Just add 1-2 tablespoons of the tea leaves into 16oz of near-boiling water and allow to steep for 4-7 minutes. Enjoy hot or iced! Add oats, protein powder, cinnamon and flax to large bowl. Mixture should be slightly sticky but still crumbly. Slowly add in liquid 1 tablespoon at a time and using hands to combine until it comes together in a sticky ball that holds together. If mixture is too dry, add in more liquid but not so much that it won't hold shape. Place in a container to set in the fridge for at least 30 minutes. Store in fridge until ready to eat. Makes 10-12 balls (balls can be stored in fridge for 7 days). 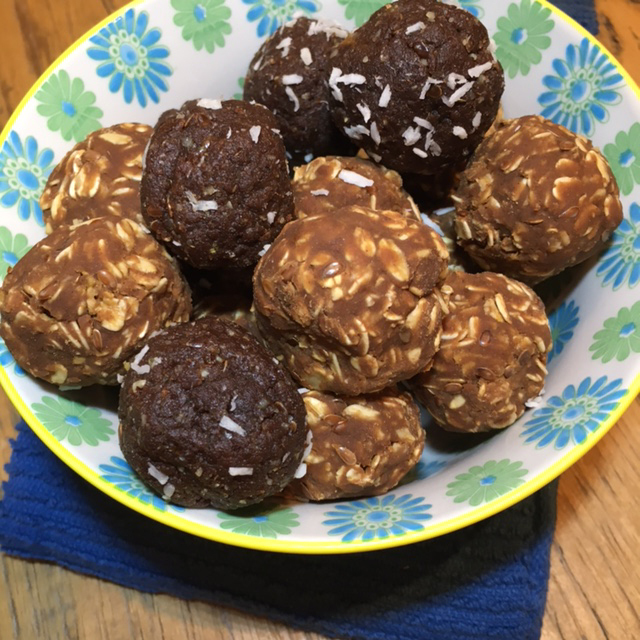 For Dr. Joeys chocolate protein energy balls, join instagram by clicking here. 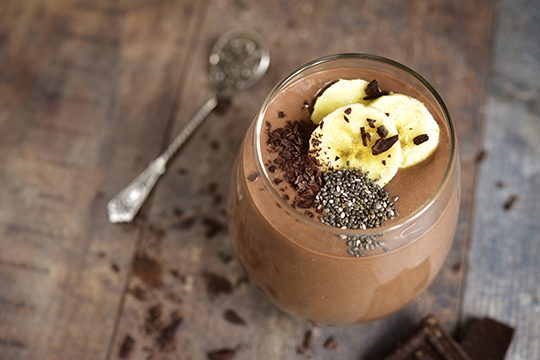 Add all ingredients into blender and blend on high until smooth. Mix all ingredients, except for the peanut butter, in a bowl. Once combined, heat over low heat in small pot until all ingredients are melted. Add about 2 teaspoons of melted mix to 8 mini muffin tins (use mini paper cups or line each cup with coconut oil to prevent sticking) and put in freezer for 10 minutes. Add 1 tablespoon of nut butter to each cup and cover with more chocolate, sprinkle a little sea salt on top and freeze for another 20 minutes. Enjoy cold. Cut open the avocado and scoop out the pit. Cut it into large chunks and put it in the blender. Add the cocoa, honey / maple syrup, and almond milk. Blend, starting on low and the moving on to high speed until it is smooth. If the avocado is larger, you will need a bit more of each ingredient. If it is too thick, drizzle in a bit more almond milk. Refrigerate the pudding and serve cold. A successful life is not always about getting or achieving more; it is also about appreciating and utilizing the amazing things you already have. Within these pages you will find 100 inspirational ideas and advice. 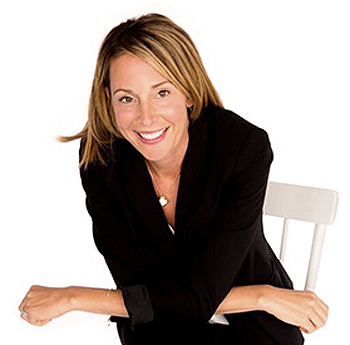 Each message will only take a moment to read, but if put into action, it will create lasting change in the way you live: find the time to daydream, be your own cheerleader, forget about being perfect, focus on what you are getting right, give the people you love the best of you, live boldly, choose to be happy. Do something you love - If it's seeing a movie, spending time outdoors, de-cluttering your closet, reading a great book, getting a massage or going to your favorite yoga class - make yourself a priority and do things you absolutely love to do! Make a vision board - Post your accomplishments, favorite pictures of yourself and future goals on your vision board. I have been making vision boards for years and find they really work! Eat some chocolate! - Dark chocolate is filled with antioxidants and brain boosting properties that offer huge benefits for health. Get some R & R - Give yourself some down time by having an extra hour of sleep, reading a book or having 15 minutes of pure quiet. Have fun - Whether it is being with friends, being with your siblings (that is mine! ), shopping or doing a craft, do something that brings you deep joy as often as you can.